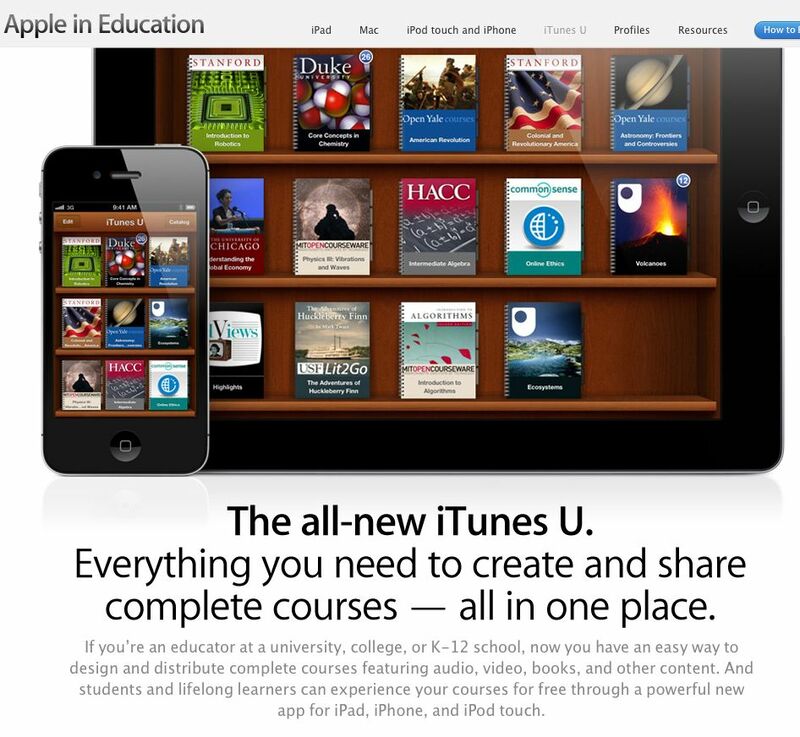 Link to Apple iTunes U. 800 institutions and 70,000 items plus a new book publishing app iBooks Author. iBooks Author enables ANYONE (professors, teachers, parents, students, grandparents and organizations) to easily develop and self publish an interactive digital media book thAT can either be hosted for free or sold for a percentage in the iBooks book store. This has the potential to be a revolution in self publishing equivalent to YouTube.